May 18, 2017 SEOBy DEANknows! If you have ever looked at the Domain Metrics for your website or the back-links that refer to your website—your eyes most likely glazed over seeing abbreviations such as: PR, DA, PA, CF, TF and the like. There are many ways to measure the general effectiveness of a domain, we will cover some of the most commonly used metrics when evaluating a website, domain or back-links. These metrics are invaluable if you are purchasing an existing domain (to jump start your SEO and Web Traffic) as these metrics define what you are purchasing. All of these become very important as they will give insight on how effective your domain will be for Search Engine Optimization. Some of these are obvious such as age, so we will focus on some of the others. One thing to consider is that all Domain Metrics become increasing more challenging as you go up in rankings. In other words, the difficulty of increasing rank is progressive so it’s a lot easier to increase from 10 to 20 than from 50 to 60. Google Page Rank is Google’s way of assigning a number to what they think is the “link popularity” of your website or domain. Although PageRank or PR is the most widely used and spouted Domain Metric, it has not been updated in years and has lost its importance in Domain Ranking Metrics. Google PageRank or PR ranges from 0 to 10. A brand new site or domain with no history at all will start with a PR of 0. It doesn’t take much to move up to a PR of 1. If you see a site that links to your domain with a PR of 8 that is considered very good. Moz Metrics are very highly considered to be the some of the most generally accurate measurements of a domain. The most commonly used MOZ Metrics are Page Authority – PA – and Domain Authority – DA -. These two Domain Metrics are invaluable comparative metrics and should be used when doing SEO research. A good SEO Company will evaluate domains by looking at search results and determining which sites and pages may have more powerful link profiles than other sites. Domain Authority is a metric that is incorporated into dozens of Search Engine Optimization platforms across the internet. Domain Authority or DA is calculated from 0 to 100. Domain Authority or DA calculates how strong the links are on a particular domain in reference to helping the domain to rank for search queries in Google. 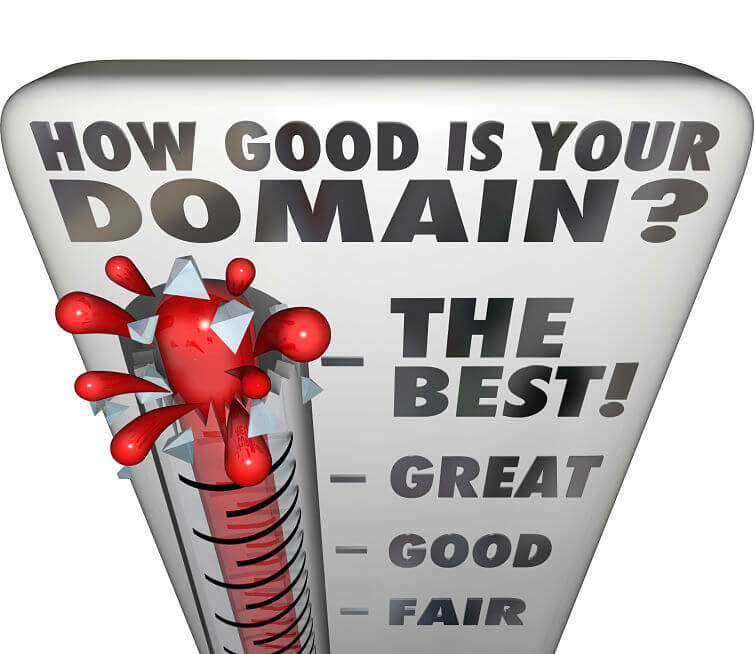 It is a general measurement, but a very good one is assessing the quality of a domain. Where Domain Authority measures the predictive ranking strength of an entire domain, Page Authority or PA measures the same thing but for a specific page within that domain or sub-domain. MozRank or mR is a measurement of the link popularity of a page. MozRank shows the importance of a specific web page on the web and is ranked from 1 to 10. Pages can earn MozRank by the number and the overall quality of pages or websites that link to back to them. The higher the quality of the links referring to the page, the greater the MozRank. MozTrust is very similar to MozRank but as opposed to measuring the popularity, it is measuring the trust of the links that are referring to your domain. Trusted domains are websites such as government or university websites. MozTrust is also calculated on a scale of 0 to 10. Zero being a supper spammy link as opposed to a 10 which would be a well-established government website link. Majestic SEO is a similar set of metrics to Moz Metrics, but put forth by a different company and thus using different algorithms to come up with their score. Its important when looking at back links to your site or when purchasing an existing domain to look at BOTH Majestic SEO as well as Moz Rank. Citation Flow – CF – is also measured from 0 to 100. Citation Flow is a metric describing how influential a URL might be based on how many other sites link to back to it. Trust Flow – TF – once again is calculated from 0 to 100. Similar to MozTrust, it measures how trustworthy a page is based off of how trustworthy the other sites are that link TO it. With so many SEO Marketing Companies out there, there is a lot of misinformation found on the internet. Even trustworthy SEO Gurus generally cant all agree on what should be done and what to do for a successful Website Development and SEO campaign. In our articles on SEO Basics, we attempt to stay away from the more controversial SEO topics and stick to generally accepted facts. We offer a FREE SEO Website Check with absolutely no obligation. Get your sites SEO results immediately by clicking HERE! Pingback: DOMAIN AGE—HOW MUCH DOES IT MATTER?